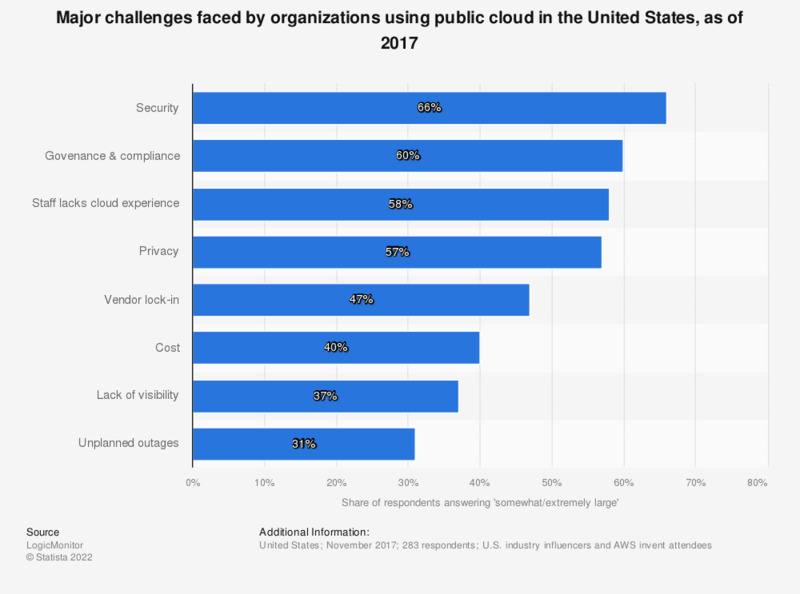 The statistic depicts the biggest challenges faced by organizations engaged in public cloud use in the United States, as of 2017. According to the survey, 66 percent of respondents reported security as a significant challenge faced by organizations engaged in public cloud. Original question: "What are the biggest challenges for organizations engaged with public cloud today?"